This is an easy project which you can make in no time at all, especially if you use a sewing machine. I did the sewing by hand, because I enjoy it, and even then it only took me about 40 minutes to do the sewing. As you can see, in the photo to the right, this blanket fits a small to medium baby doll. 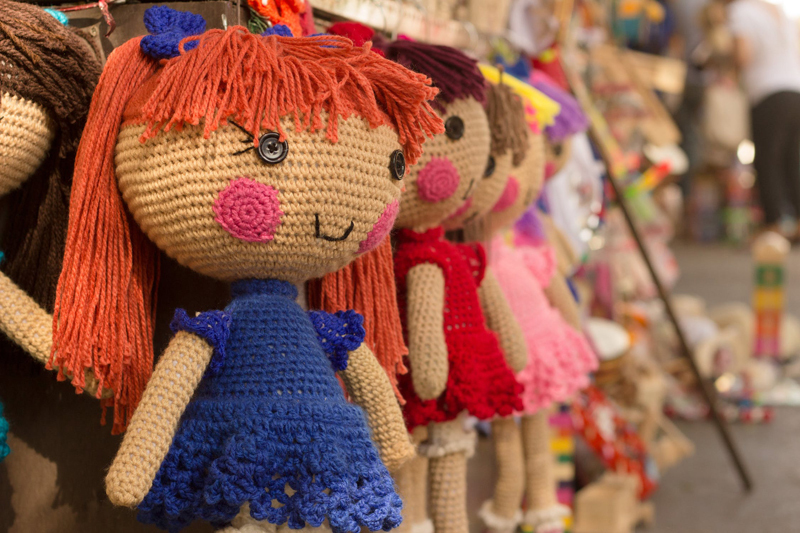 It can easily be adjusted to fit a larger doll by simply using larger pieces of fabric. I used two pieces of different, but coordinating fabric. On the top I have folded it down so that you can see the two fabrics. They are two lace prints with one being slightly darker than the other. This gives your blanket some visual interest and the choice to use either one on top, but it can certainly be made with two pieces of matching fabric. The choice is yours. The finished blanket, as shown measures 18 inches by 14 inches. It has a 1/4 inch seam allowance all the way around, so your fabric pieces should be cut to 18 1/2 by 14 1/2 inches. For those of you who quilt, you can use two "fat quarters" for this blanket. You will need about half of a yard of fabric, in total. You will also need matching thread. There is no batting, or stuffing, in this blanket and that is on purpose. The batting would make the blanket too stiff to wrap around a small doll. To make the blanket, cut your fabric to the desired size. Place the two pieces of fabric facing each other, in other words, right sides together and pin around all the edges. Stitch around all the sides, leaving about two inches open for turning. Turn the fabric, right side out and close the opening using ladder stitch. For an explanation of ladder stitch Look Here. You now have a pretty little blanket to keep you doll snug!